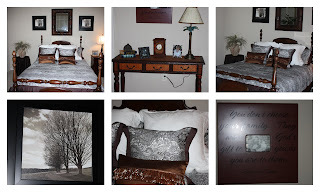 We have been busy with Extreme Home Makeover "Bedroom Edition"! with my mom's decorating expertise and husband to do all the "man work"
to a have a new bedroom. A welcomed change in our household.